All proceeds are donated to "Canadian Children's Wish Foundations." 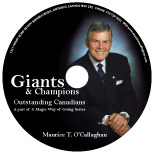 Let the magic of his words and his message inspire you in this book of powerful, thought provoking ideas and insights. 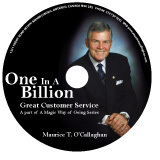 Experience this wonderful compilation of stories and advice brilliantly composed by Maurice O'Callaghan in his first inspirational book. 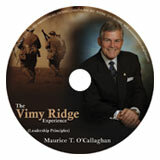 It will make you laugh and cry and be excited by how simple choices can enrich your life every day. “A Magic Way of Going”. A Magic Way of Going is a journey that will change your life and the lives you touch each day. 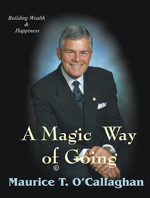 The “Magic Way” seminars will show you how to balance your personal and professional life, enrich your leadership skills, turn your problems into opportunities and use creative thought to energize yourself and your organization. They will inspire and help you achieve your own wonderful possibilities.